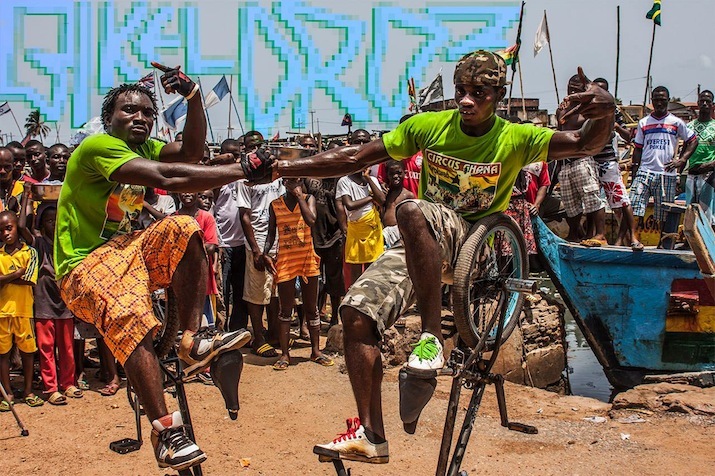 Bikelordz is an upcoming documentary that sheds light on the small but buzzing BMX flat-ground scene in Accra, Ghana. The film dives into the lives of several young Ghanaian riders who’ve been called by the BMX lifestyle, showcasing their passion for the sport with all types of surreal stunts and tricks. Through their exploits, a familiar story unfolds: they struggle to live life on their own terms and the triumphs along the way are small but sweet. Bikelordz first entered the world as a short film, edited by director/cinematographer Tobias Arturi from handheld camera footage shot by myself while living in Accra in 2006-7. The short premiered in the Bicycle Film Festival, resonating with audiences from Hong Kong to San Francisco, and inspired us to go back to Ghana with proper equipment, a shoestring budget, and some collaborators: NOLA artist Sam Feather-Garner, BK musician Charlie Ferguson of Zongo Junction, and SF photographer Quincy Cardinale. With riders showing us around we were able to go places no tourists and many locals would never go – from sound system parties to funeral parties. The film will feature a soundtrack of original music by a variety of American and Ghanaian artists as well as some high-life favorites. From handstands to back flips, these young innovators are doing things on wheels that we wouldn’t even try in a yoga studio. Check out the trailer below to see a preview of the documentary and experience first hand a fresh, groundbreaking lifestyle. Bikelordz Teaser Trailer from Bikelordz on Vimeo. Follow Bikelordz on Facebook, Twitter or Tumblr to keep updated. A Malik. McPherson for Okayafrica.com. With more than half the population in many African nations under 25, the bright continent is currently undergoing an explosion of vibrant new music, fashion, art and political expression. Okayafrica is dedicated to bringing you the latest from Africa’s New Wave. Accra, June 2012 – I am walking with my new friend and namesake, Auntie G, down High Street, Accra, towards the arts and crafts market when I hear “Jambo! Hakuna Matata!” interspersed with “Bafana Bafana!”. I immediately know I am the one being addressed, in that instinctive way foreigners in new places know when they are spoken to, even when they can’t see the speaker. Busted! So much for my illusion of blending in. Crafts vendors – the ever observant eyes of every African city – can read me as either Kenyan or South African, even before I betray my foreignness with my heavy accent. Now, I have nothing against Bafana Bafana. To misquote South African writer Ndumiso Ngcobo, some of my best friends are South African. But even they don’t want to be associated with the perennially losing Bafana. Certainly not on the streets of Accra, when the Black Stars have just massacred the Lesotho Crocodiles 7 – 0 in a World Cup 2014 qualifier. But with the Black Stars’ subsequent lackluster flickering at the 2013 Afcon tournament – only second to the Chipolopolo’s misfiring – I might be persuaded to reconsider my views on Bafana. Okay, truth be told, with Kenya’s consistent record of perpetual insignificance on the African soccerscape, I have little business holding an opinion on Bafana. Like most of my compatriots, I have long reconciled myself to the fact that we are more of an athletic nation, with occasional flashes of brilliance in cricket and rugby, when our ancestors have enjoyed a few good puffs of the fabled Malawi gold. But today, on the streets of Accra, I could live with being associated with Bafana Bafana. It is the touristic “Hakuna Matata” that gives me malaria, with its evocation of The Lion King and Baroness Karen I-Had-a-Farm-in-Africa-Blixen. I suppose it inadvertently reclaims tourism as still mzungu (white) terrain in Africa. It marks me as a pretender to touristic pleasure; sadly, some ideas are just frozen in place like that. The curio vendors at the crafts market in Kampala, Uganda seem to be dynamic – at least in so far as they responded to wazungu tourists’ protestations against being called mzungu by printing souvenir T-shirts with the legend “I am not Mzungu” (talk about lost in transcription!). Still, it will be a while before we send young Simba and his matata back to Disneyland. Then again, as my friends subsequently pointed out, maybe the ever gracious Ghanaians meant “Hakuna Matata” with Bafana Bafana, and we must all just chillax about the losing spell. I quite liked this reading. But while we are on this ultra-optimistic mode, can the artists please drag their African men and women out of the frozen fantasy of bare breasts, earthen pots, and skinny necks weighed down by tons of beads, and get them across to this side of the millennium? Dare I hope that they will start painting the actual men and women who walk the streets and footpaths of African cities and villages? Along with my friend Wambui, who shares my exasperation at the ubiquitous Afri-xotica of huge ceramic pots balanced at impossible angles on chiskop’d heads, I look forward to the day I will walk into a curio market in an African city and find colourful canvas upon colourful canvas of young people in luminous green skinny jeans, stylish tops and trendy handbags, swinging to “I go tell my papa, I go tell am say, you be waka waka baby” with Flavour N’abania; or a book club of fabulous middle-aged women in Kinshasa joining Twitter wars about the next random artist who thinks female genital mutilation is funny enough to parody in a black-face cake installation. While my pedestrian grasp of high art probably renders the subtle insights baked into the grotesque Swedish cake illegible to my artistic palate, I am sure the not-mzungu tourists can be persuaded to let go of their fantasy Afri-xotica, and embrace the reality of Africans’ glocal citizenship in multiple cultural landscapes. But if everyday reality is too boring for the not-mzungus, then we can let them eat black-face-sponge-cake art. 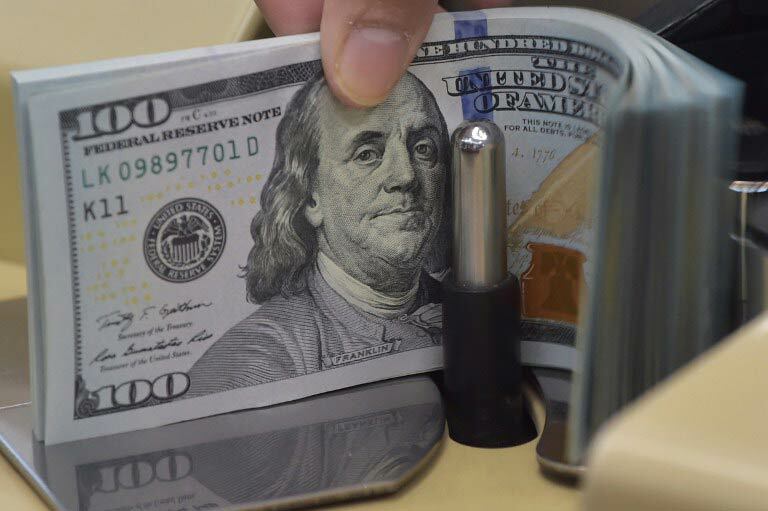 New markets might just keep the crafts-makers in business. I, for one, will be ready to buy that canvas featuring a septuagenarian shaking a leg to Cabo Snoop’s Windeck in downtown Yaounde, while his Salva-Kiir-style black-cowboy felt hat sits on the table next to his bottle of Zambezi Lager and his copy of Ahmadou Kourouma’s Allah n’est pas Oblige (Allah is not Obliged). Yes, Africans are busy pondering the child soldier phenomenon, from Sierra Leone to Uganda, from the DRC to Sudan; and yes, we do have a penchant for beads and trademark printed ‘African’ wax kitenge fabrics (bless the Dutch for this African authenticity). In fact, I am wearing both my multicoloured beaded necklace and my beaded breast cancer awareness month pink ribbon as I write this. But we are larger than our wars and our poverty: we dance, we dream, we read, we think, we sommer enjoy a good cold lager after a long day’s work; and yes, we pay taxes too, incidentally. Auntie G and I walk to the Kwame Nkrumah Memorial Park a few metres away from the crafts market. Both the park and the monument are simple, elegant, Africanist tributes to the grand-père of Pan-Africanism. He is finally resting in peace, enjoying his third, and hopefully last, rest, as Auntie G quips. His first resting place was in Guinea, where he died in exile, and then he was moved to his home village of Nkroful, before being buried here, under a huge grey-marble Baobab-like tree. The Memorial Park guide, Salim, tells me it is called a Gossip Tree. I suspect he is pulling my leg, but I like the name. The tree’s head is cut off. According to Salim, the Gossip Tree was traditionally a resting spot for men to catch their breath after a long day’s work in the fields before returning to the homestead. The feminist in me chuckles at this rock-solid acknowledgement of men as partners-in-gossip. I briefly visualise Nkrumah gossiping with his wife Fathia Rizk Nkrumah, who lies across from him; occasionally joined by Selassie, Nyerere and W.E.B Du Bois, as they debate the African Union’s decision to move the July 2012 summit to Addis, because Joyce Banda refuses to honour the Old Boys’ solidarity which continues to postpone Sudanese president Omar al-Bashir’s trip to The Hague. The cut-off head of the tree, Salim tells us, is a metaphor for the untimely death of a great man, whose wisdom could have made many more contributions to society. It is a fitting tribute to Nkrumah’s unfinished Pan-African project of unity, liberation and prosperity. Diagonally across from the tree, Nkrumah stands tall and equally headless, his torso gazing blindly across the manicured gardens to the Supreme Court buildings. Beside his right leg sits his head on a separate, much shorter slab. I can’t help noting how the headless statue mirrors the headless tree; and the unfinished business signalled by the cut tree. I am fascinated by the headless statue and its head. 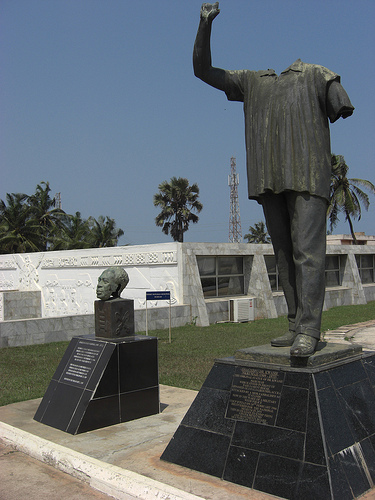 Salim explains that Nkrumah’s statue was beheaded during the 1967 coup – Operation Cold Chop – which ousted Nkrumah while he was out of the country, and for some time afterwards the head could not be traced. Apparently, an elderly lady eventually brought back the head and handed it over to the ruling party. She insisted on anonymity. I have so many questions about this lady. What impulse drove her to do such a risky thing, like picking up the heavy bronze head of a deposed president, beheaded during the coup, while his real head was safely in Vietnam? What relationship had she had with the head and its owner, as Nkrumah went through the now predictable cycle of resentment and nostalgia that marks Africans’ relationship with their first generation nationalist liberation icons? Why did she choose to return it? Why the anonymity? The ellipsis of the lady’s story mirrors the elliptical treatment of the coup by the Kwame Nkrumah Memorial Park’s museum, with its brief and highly allusive references to the coup. This ellipsis nonetheless looms large in the sparseness of the museum’s collection; predominantly featuring Nkrumah’s items from Lincoln University, where he did his undergraduate studies, and an impressive range of books he authored. As Salim explains, a lot of Nkrumah’s personal effects were vandalised and destroyed during the coup. The museum’s tentative archive of the coup sits equally awkwardly beside the decision not to re-head Nkrumah’s statue, when his head was returned, but rather mount it beside him, as a historical document. In the space between the headless statue and the head sitting beside a right foot with a huge chunk missing from its thigh, lies a fascinating story of the complexities of the icons of our lifetimes, who simultaneously embrace and undermine our best efforts to sanitise their human blemishes in our perpetual pursuit of one-dimensional god-like icons. Grace A. Musila is a non-athletic Kenyan. She writes in her personal capacity.